It probably hasn’t escaped the attention of many Panthers fans that Thomas Davis is not going to be with the Panthers in 2019 – and while Shaq Thompson is expected to slot into the #2 linebacker role alongside Luke Kuechly with second-year ‘backer Jermaine Carter, Jr. as the #3, along with the pending free agency of David Mayo, this could create some opening further down the depth chart this offseason. 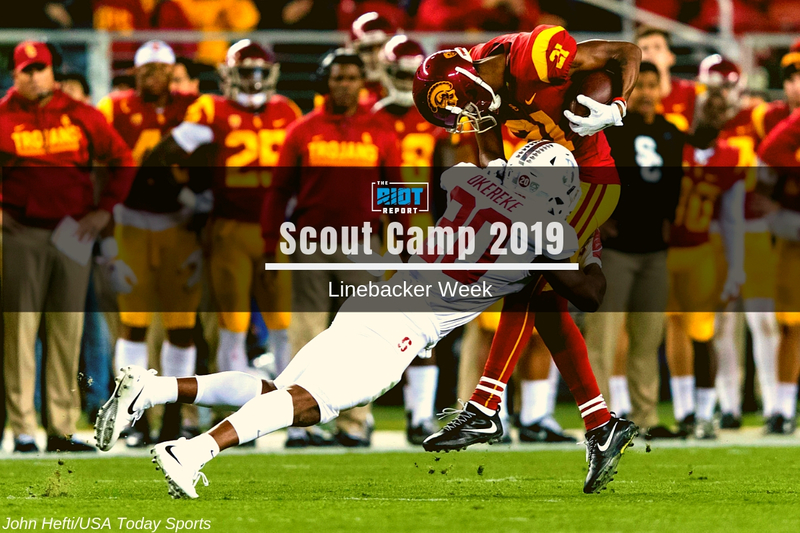 Before we get to one of those options in Stanford’s Bobby Okereke, I’d invite you to check out some of our other Linebacker Week offerings: my inside linebacker big board, my outside linebacker big board and the accompanying podcast for Linebacker Week where Dan Kreso and I discuss the entire board, Okereke included. It is no secret that Luke Kuechly is very good at playing linebacker and that the Panthers aren’t going to be starting anybody else at inside linebacker through choice anytime soon. However, depth is always important, and with David Mayo a pending free agent, the role of Kuechly’s backup may well once again be up for grabs this offseason. While this is something the Panthers could look to address in free agency, if not, depth is something that can be come by on the final day of the draft, and at inside linebacker that would well mean Bobby Okereke. Okereke isn’t perfect in this regard, but the number of plays where he is in the right gap far outweigh those where he isn’t. What is also very important for teams who run 3-4 defenses is that when he is asked to simply hit a gap and penetrate, he does this very well. This isn’t calamitous, but if teams know that he is going to struggle to chase to the edge, this is something they could look to attack when he is on the field. There are areas that should cause teams to be somewhat cautious about Okereke, and he certainly isn’t an elite run defender, but for a player who is likely to be a third day pick, he is a good run defender. But how does he get on in coverage?